We sell strings to fit all makes and models of hammered dulcimers in three quantities, described below. 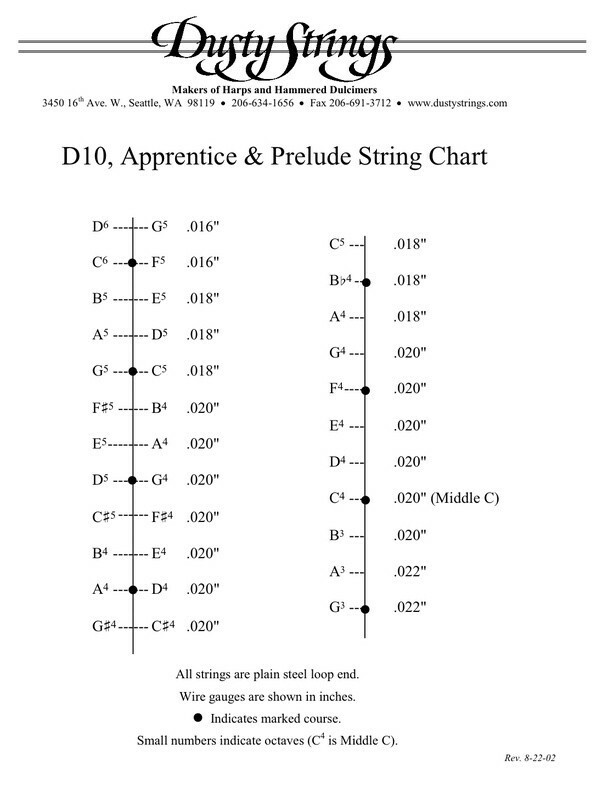 Individual strings — sold by gauge. 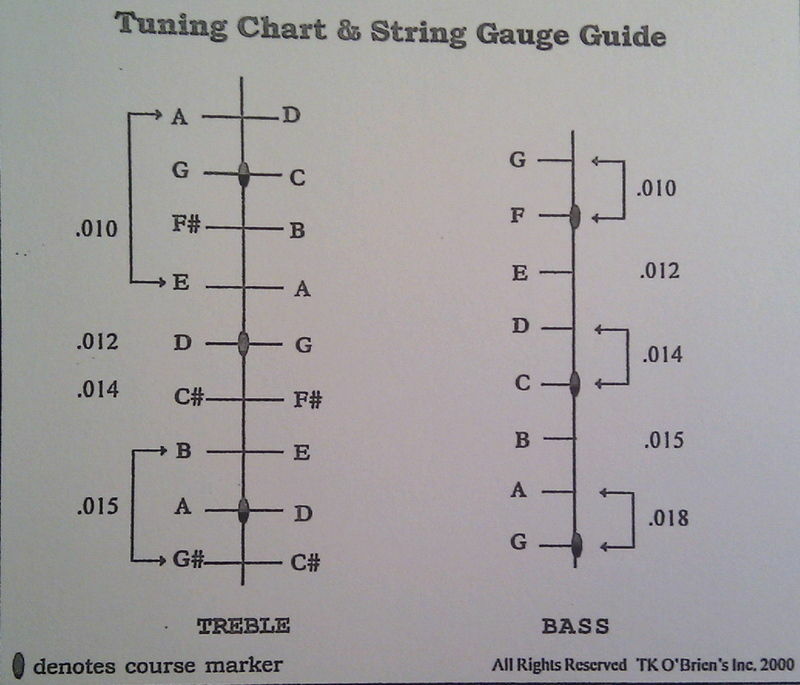 By informing us of the make and model of your Dulcimer, we can help you determine which gauge you require. 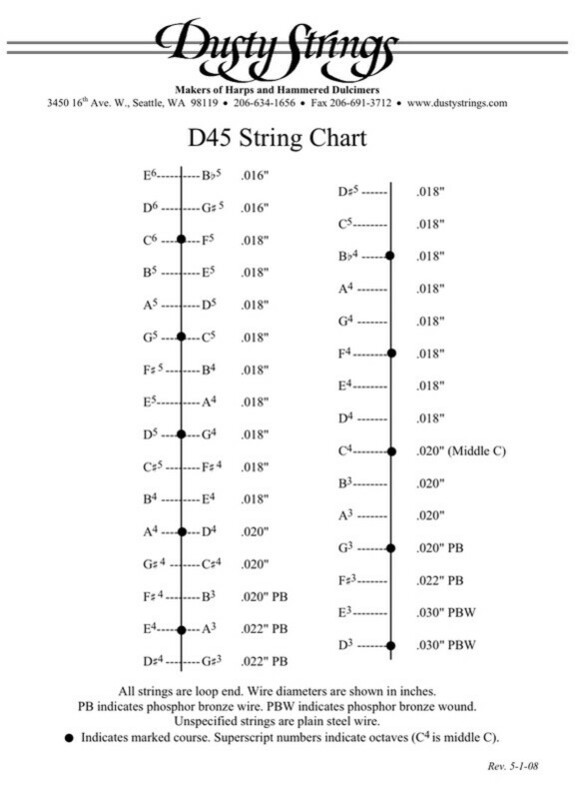 Alternatively use the string charts below to help you identify the string that you require. PLEASE NOTE: if you have either a DUSTY STRINGS or a T K O'BRIEN model Dulcimer, you will need to order LOOP END STRINGS. If you have either a ROGER FROOD DOVE or TIM MANNING MUSIC MAGIC Dulcimer, you will need to order CONTINUOUS STRINGS which are only available individually and not as sets!